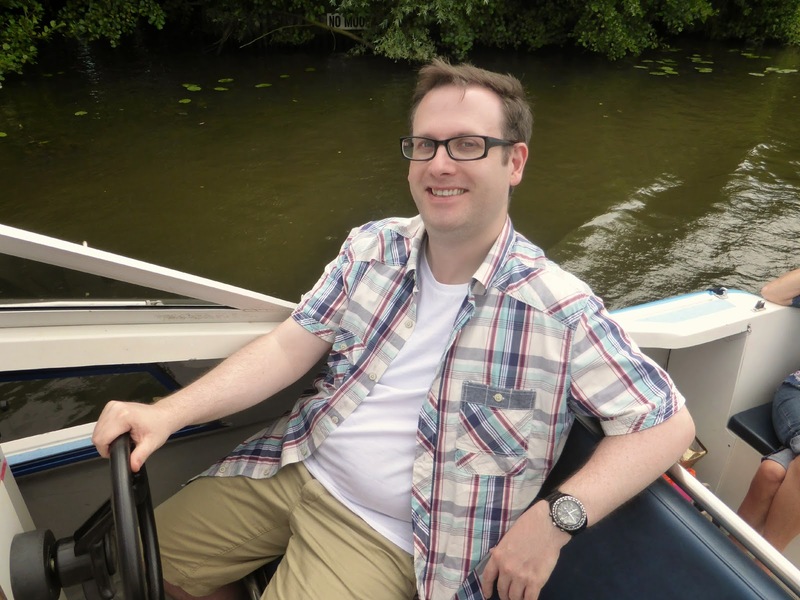 Ever since I met Simon he's been banging on about a lads boating holiday he took on the Broads in 2004. He absolutely loved his time driving up and down the rivers and has spent every year since trying to convince his friends to recreate his favourite holiday. So when he met me and discovered that I grew up in Norfolk, I think he was pretty happy and was secretly hoping that we were a family of river lovers. Last week his dreams finally came true when we took a picnic boat out on the Broads for a little day trip with my parents. 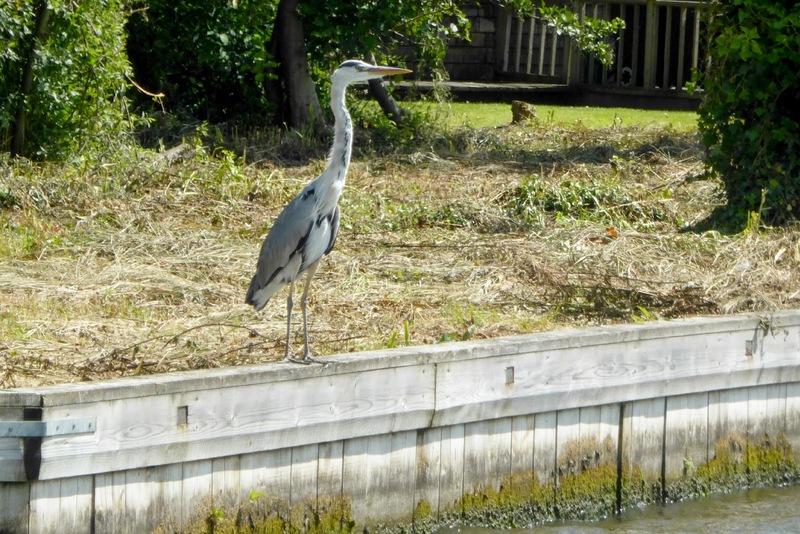 I grew up on the Broads and spent my childhood in Coltishall which is on the River Bure. Living in such a beautiful location on the river is something you take for granted when you're growing up but now I've moved away I truly realise how lucky I was. I love how I have a special knowledge of the local history that only Norfolk children have. I remember learning all about the Broads in Primary School and some of the things I was taught have still remained with me today. 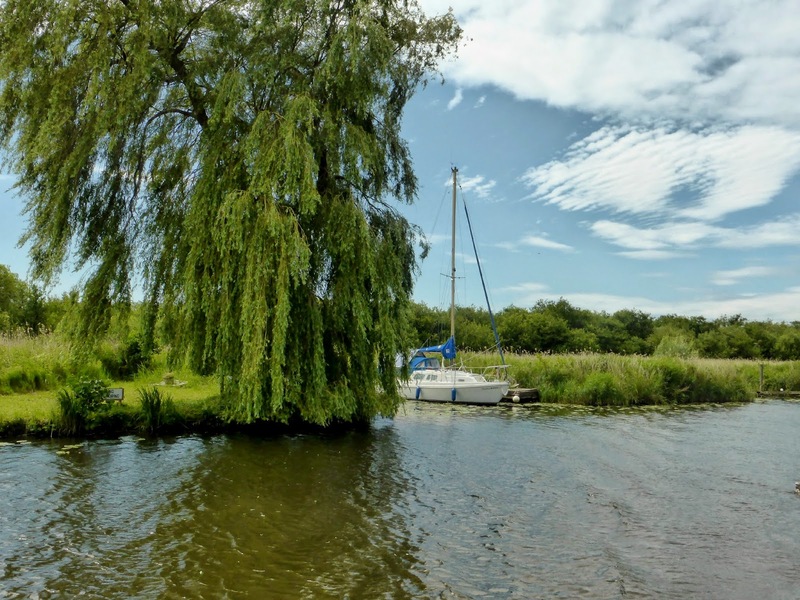 The Broads are the UK's largest nationally protected waterway, made up of 125 miles of river. Being a haven for wildlife and running through some beautiful country villages, they have become hugely popular with holiday makers. Something that many people don't realise is that the Broads are entirely man made, created by large pits left by peat digging that became flooded in the 14th century when the sea levels rose. 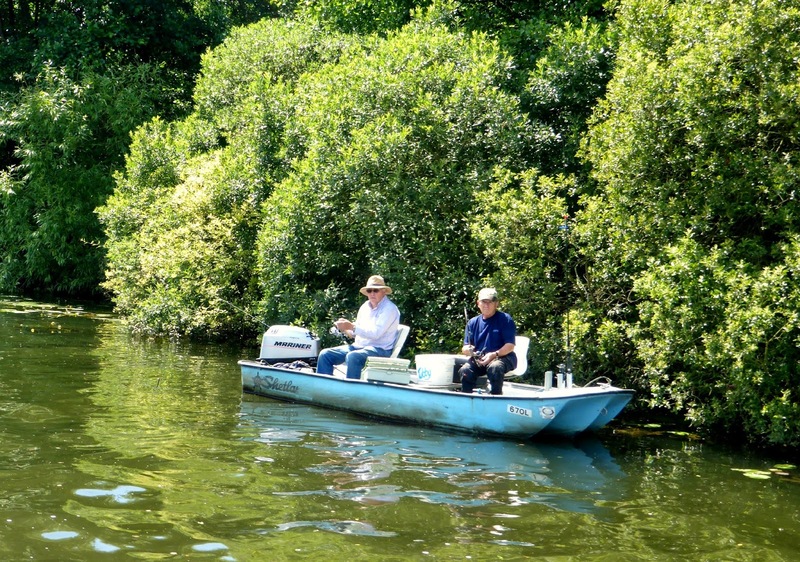 We took out a day boat with Barnes Brinkcraft who are situated in Wroxham (the tourist capital of the Broads). The Boatyard offer a wide range of boats to take out on the water from canoes to luxury cruisers. 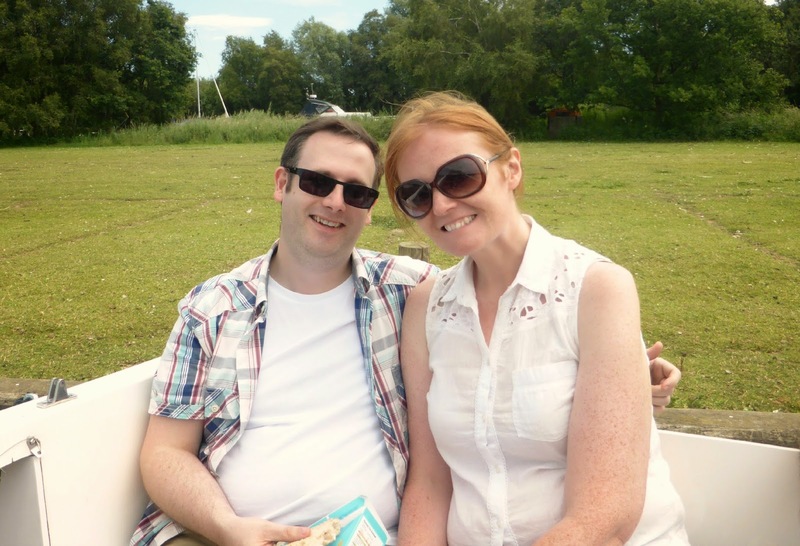 We hired a Picnic Boat which had a capacity for 7 people, a small toilet, kitchen and comfy cushioned seating. Simon took on the role of Captain and spent most of the day with the cheesiest grin on his face, he was in his absolute element and all that he was missing was a Captain's hat. As First Mate I spent most of my day sitting next to him on the driver's seat admiring the view and pretending to help out. I took over at one point but definitely wasn't a natural Captain. 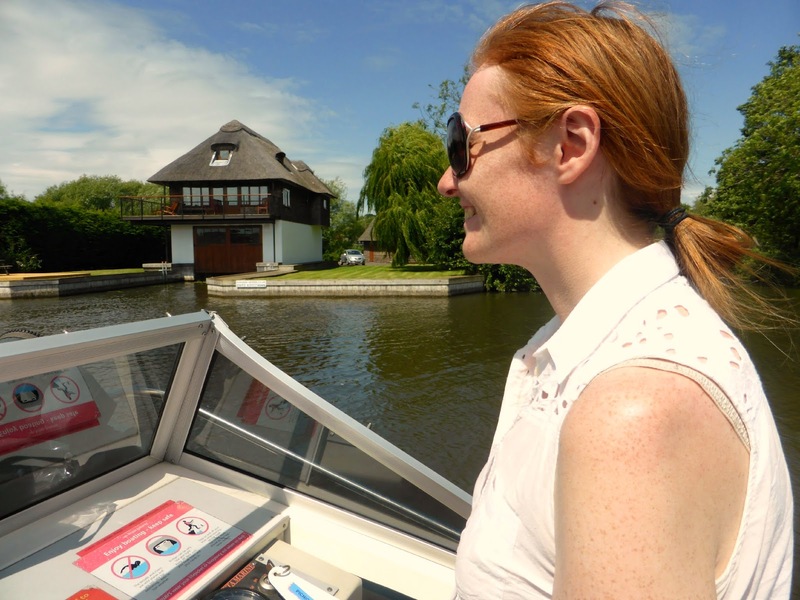 Driving a boat is very different to driving a car, it only requires the smallest of movements on the steering wheel and as it is slower to respond, it can be tempting to over turn the wheel. Reversing is even more difficult as you can't manoeuvre and have to get yourself in the correct position before going backwards. My parents gave themselves the job of navigators but spent most of their afternoon sitting on the back of the boat enjoying the hot sunshine. 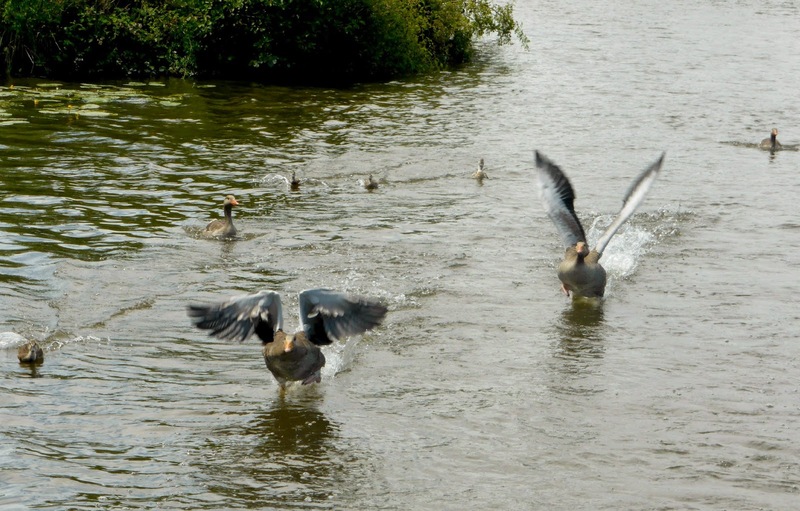 Every now and again we'd notice some geese and ducks running along the water and soon realised that my parents had brought a full loaf of bread to feed the birds. 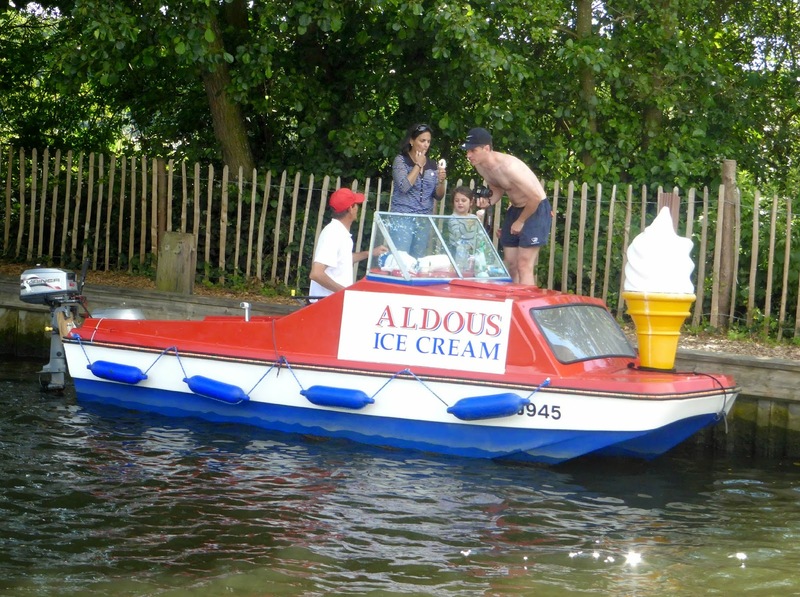 From Wroxham we travelled along the river to Salhouse, home to the famous Aldous Ice-Cream boat which is a pretty unique way of getting yourself a cone on the river. 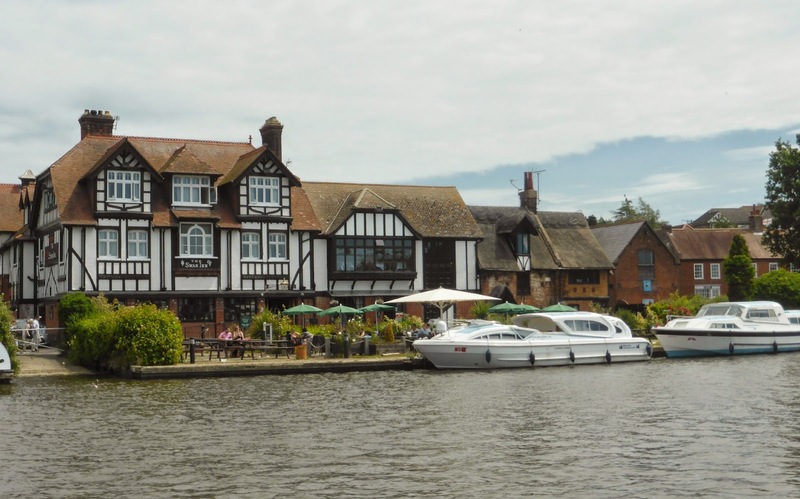 Just down from Salhouse we sailed through Horning where there are loads of lovely riverside pubs complete with boat parking, I hear there are also a few fantastic tea rooms in the village so I shall definitely be returning there on a future trip. 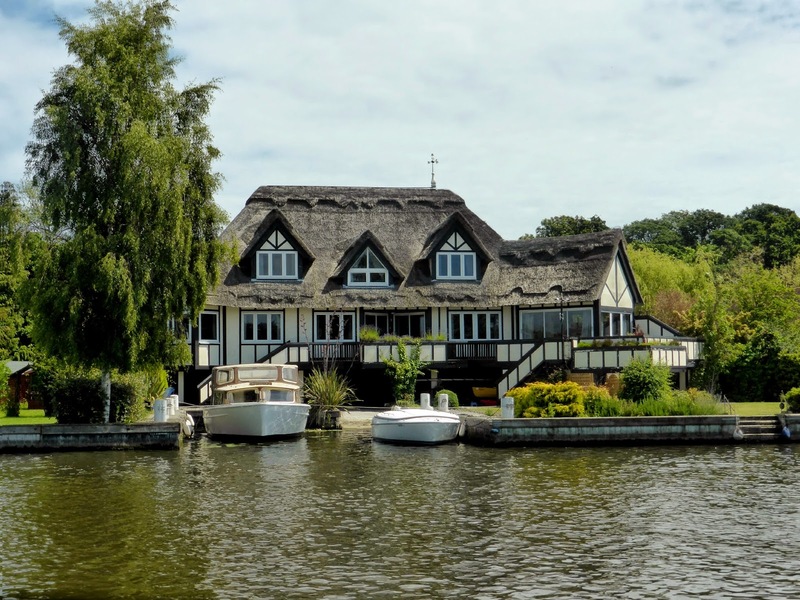 One of my favourite things to do on the Broads is play "Fantasy House". 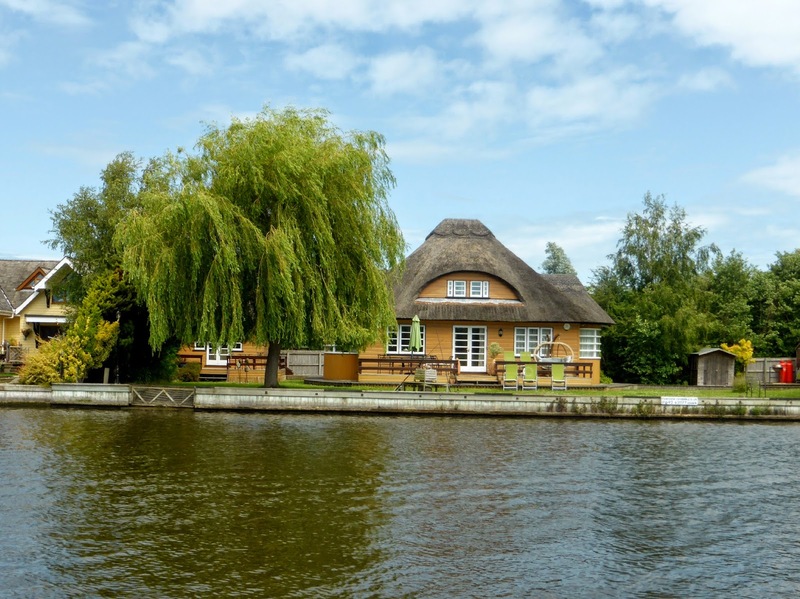 There are some really stunning (not to mention very expensive) properties on the river banks, they're usually huge, with traditional thatch roofs and a private parking space for your boat. I really need to start playing the Lottery. We finished our trip in Ranworth which is one of my favourite villages on the Broads. 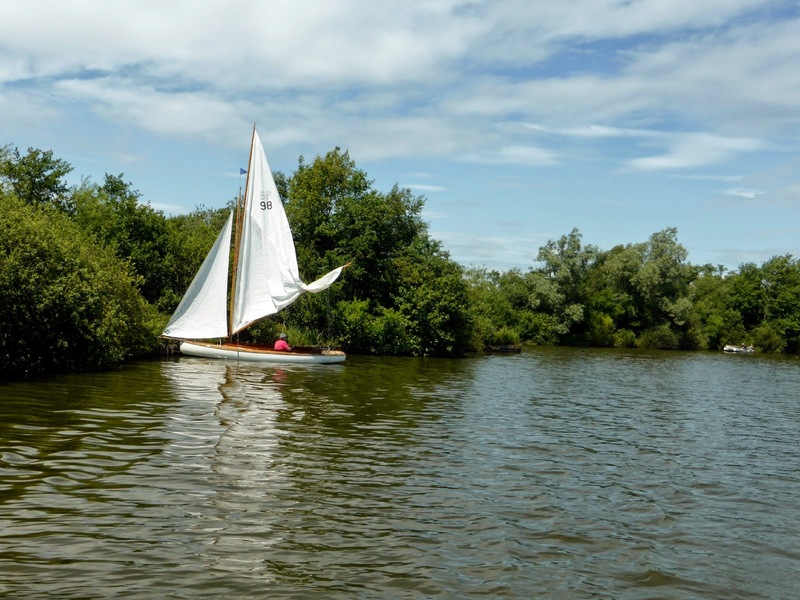 If you're ever in NorfolkI highly recommend a trip there, it's a beautiful place to admire the boats, has a fantastic board walk through a nature reserve and you can climb Ranworth Church for spectacular views across the river. Unfortunately the banks were rammed with holiday boats so there was no place for our little boat to moor so we had to travel a bit further back down the river to find somewhere to stop for our lunch. 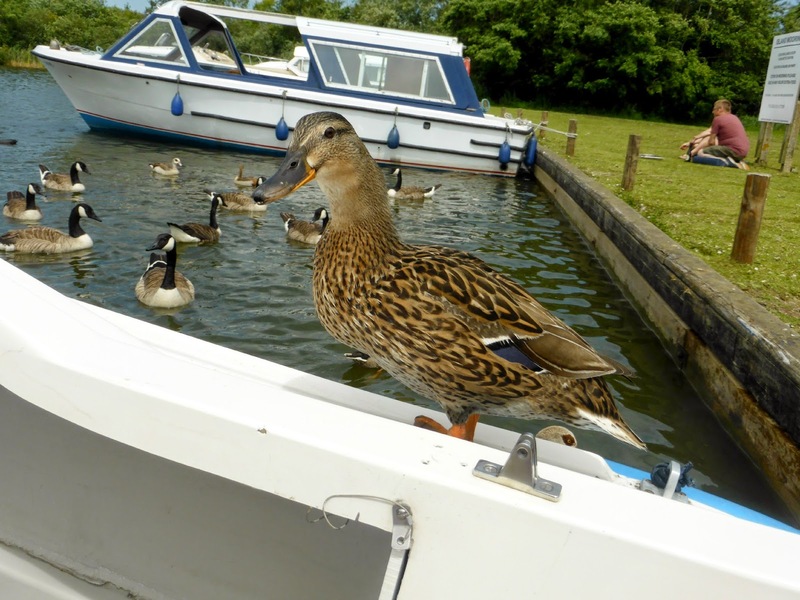 During our sandwich stop we made friends with a gorgeous female Mallard who climbed aboard to join us for lunch and was eating bread out of our hands. We were very lucky and saw lots of wildlife including Herons, Great Crested Grebes, and my first ever "blink and you'll miss it" Kingfisher. 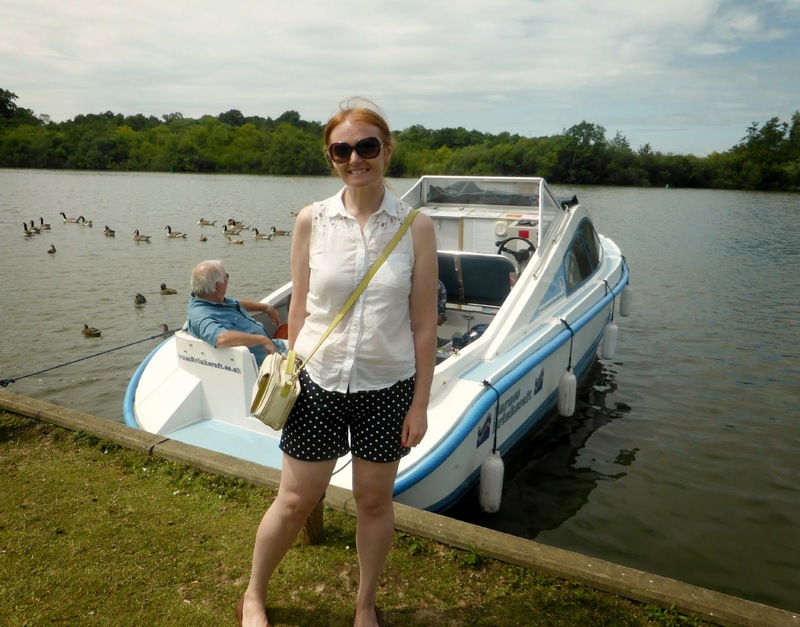 Our round trip from Wroxham to Ranworth took around 4 hours 20 minutes, a trip that would take around 30 minutes by car, but was definitely more enjoyable by boat. I leave you with a quote that Simon remembered from his childhood “There’s nothing––absolutely nothing––half so much worth doing as messing about in boats.” Let me know if you guess where it comes from! I was awful, I kept almost driving us into the trees! It is much more difficult than it looks, he was really good at it! This all just looks so perfect! Your post has really made me smile, it looks like such a great day! 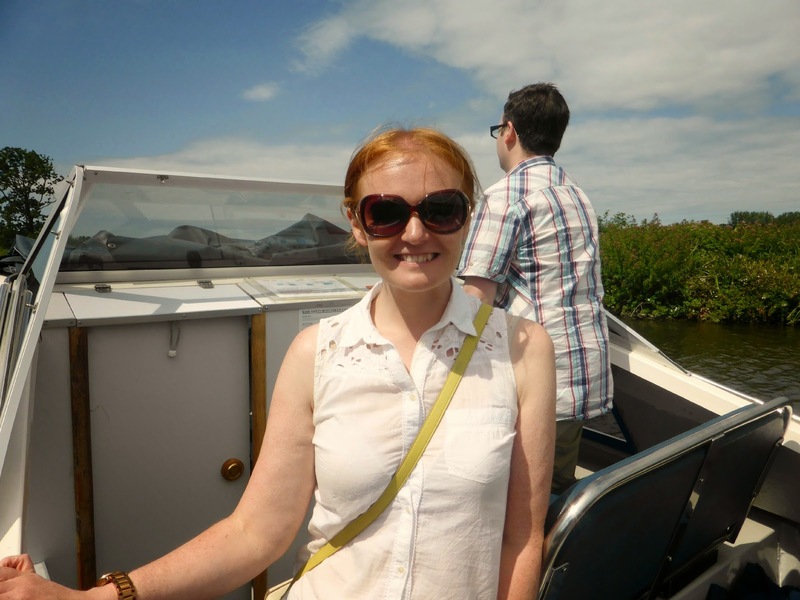 As you might've read on my blog I'm also a BIG fan of boats, and anything on water in fact. So I think I'd give the steering a go but seeing as I'm terrible at steering a car, I can't imagine steering a boat would go too well! Those houses are incredible. Talk about picturesque! They're the types you'd find in a children's storybook, I dread to think how much they sell for but they're definitely dream homes. Aw lovely pictures.. you had such good weather. I'm feeling very smug, my Mum e-mailed me this morning to say that it's rained every day since we left - we definitely picked the best week for our holiday. Great photos, what a beautiful part of the world you grew up in. 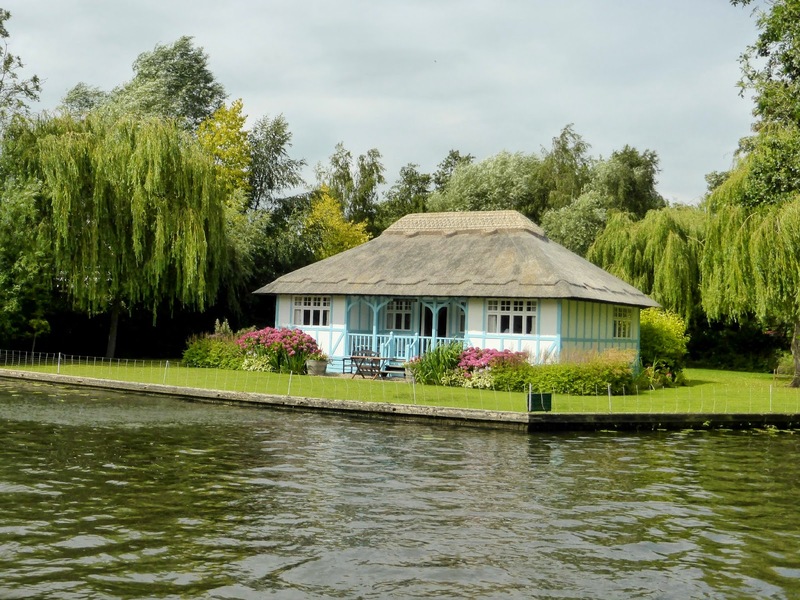 I'd definitely like to explore the Broads on my next visit to Norfolk and I'll definitely be playing Fantasy House! He looks SO happy to be driving that boat!! All you needed was a little glass of fizz and aah, perfect (not advocating drunk boat driving). Fantasy House is the best game, we like to play it on the Dart in Devon.